Protein shakes, energy bars, and supplements marketed to athletes sometimes feel like the worst offenders in the processed foods world. Between the odd chemicals claiming to boost muscle mass, increase energy, and extend endurance (creatine, anyone?) and the fact that most energy bars use soy protein, ignoring the fact that animal foods are the best source of usable protein available, that’s a whole category I’d like to stay away from. We can get plenty of protein, even on the go, with exclusively real, whole foods and no packaged junk. 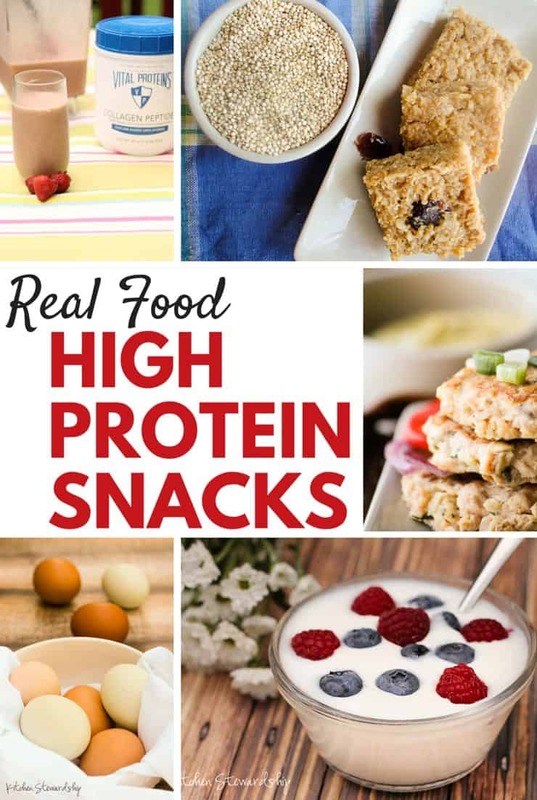 You’ll love the list of high protein foods that readers and I put together for this post, so don’t forget to read all the way to the end for the practical goodies! This post is sponsored by Radiant Life. The fitness community does have some research backing up the recommendation to consume adequate protein, especially after a workout. Therefore, most sources recommend that an athlete should consume between 6-20 grams of protein within an hour after a workout to help with muscle building and recovery. After that time, the muscles will have already begun breaking down in the absence of protein to fuel them. An optimal range of protein intake for an athlete trying to gain muscle is .72-.81 grams per pound per day. 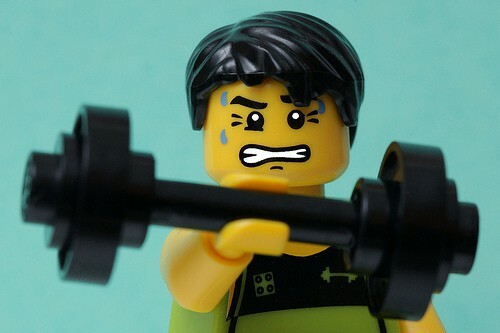 If your goal is to maintain muscle, the range is .54-.64 grams per pound per day. If overweight, calculate using your goal body weight. To calculate your requirements, simply multiply your weight times one of the figures above. For me, ringing in at about 125 pounds, I would need between 67-100 grams per day to maintain or build muscle mass and a minimum of 50 grams using the Livestrong figure. When I was expecting our first child, we took Bradley birth classes and were instructed to count protein grams, seeking 80-100 grams per day. Building a baby is much like building muscle, apparently! Consuming regular protein also may help avoid nausea for the pregnant mom, so this list should be helpful for anyone with child to try to make sure she has protein always available, even when out and about shopping for baby clothes. This article by Jordan Rubin, author of The Maker’s Diet, demonstrates the important of protein for general brain health, energy, and even hindering the negative effect of sugar on the system. For some reason I guess there’s a trend lately to encourage athletes to drink chocolate milk after a workout for the protein boost. This may shock you, but I will not be recommending chocolate milk. We real foodies know that real protein is found best in animal products: red meat, chicken, well-raised fish, raw milk, homemade yogurt, cheese, etc. Whey protein is a faster acting protein so it is more effective before and after workouts, but it is important to eat protein from a variety of sources if possible (chicken, fish, lean meat, low fat dairy, beans/legumes, nuts) for optimal performance and health. Sport drinks or foods that deliver high glycemic carbohydrates will stimulate an insulin response from the pancreas. Insulin counteracts cortisol and minimizes protein breakdown. This is where the chocolate milk recommendation comes in, I suppose. But the straight up white sugar or HFCS found in chocolate milk is simply unnecessary. Choose protein powders made from whey protein or milk proteins (milk protein contains two types of proteins, both whey and casein). Use them within 30 minutes after exercising to provide needed amino acids to muscles. For weight gain, use a protein drink as an evening snack. 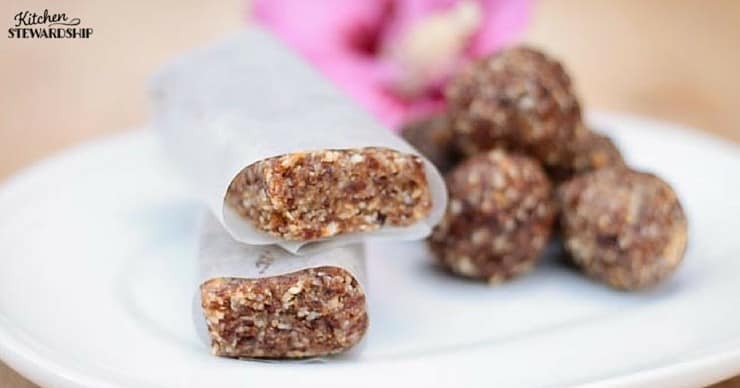 Look for energy bars that contain about 5 grams of protein, with some carbohydrate (preferably with more naturally occurring sugars) and very little fat. Many energy bars are just glorified, expensive candy bars, so remember that “energy” means calories and watch out for high-calorie bars. They are helpful for athletes on the go, so if you can’t eat before a long tennis match, an energy bar can help. 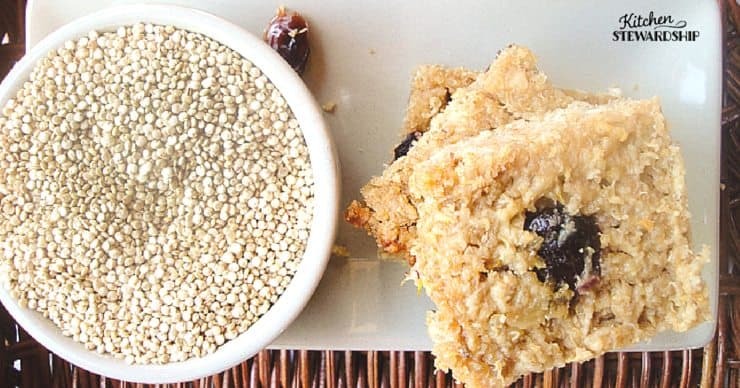 I loved reading that recommendation for energy bars, since two small servings of my homemade quinoa oat protein bars would have 6.4 g protein plus carbs from naturally occurring sugars, and the grain-free quinoa bar recipe with whey powder from Radiant Life top the charts at nearly 12 g protein for the same amount! This is quality whey protein, by the way, from grassfed, GMO-free, chemical-free raw milk. It is not denatured by high temp spray drying like most protein powders, nor is it pumped up with other random ingredients. It’s just whey. 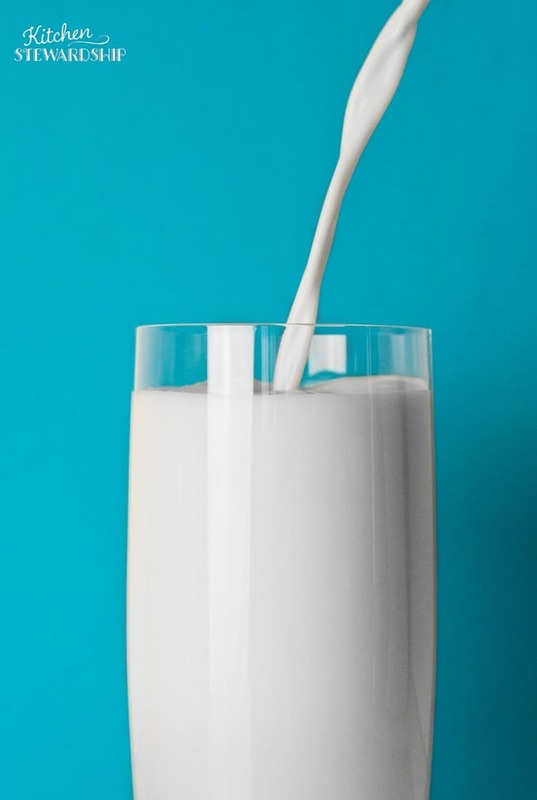 My husband has been really enjoying mixing it with raw milk after his P90X and Insanity workouts – he says he missed his protein drinks after we ran out of the “other stuff” and I wouldn’t buy any more. Tastewise, it’s right on par with any protein powder he’s tried and mixes into liquids just fine. It does need to be shaken well or whizzed in a blender to totally mix in though, just like any other whey powder. UPDATE (4-2016)! 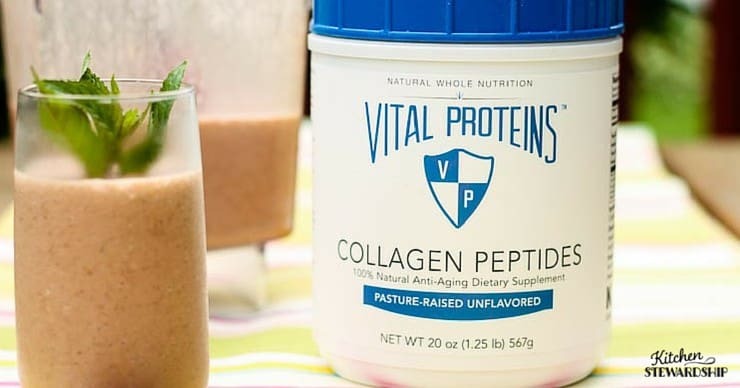 We reviewed about a dozen natural protein powders and found the hands-down BEST option! I’m thinking you could add this to any homemade bar, although I haven’t tried it. One Tablespoon of anything should just blend right in, right? 12 g of protein is impressive! This also means that homemade bone broth with good gelatin (use the coupon KS10 for 10% off!) should be an excellent source of protein, although not quite as easy on the go. UPDATE: More on gelatin (and its easier-to-use cousin, collagen) in this new post. Green smoothies with yogurt, whole milk, some fruit, and maybe an egg yolk or two – add whey ice cubes for even more protein or the powder above. NEW! Making Protein Shakes without Protein Powder from Tiffany at Don’t Waste the Crumbs. Great ideas! Note: Check out this article for information on finding tuna in non-BPA lined cans, including Vital Choice (salmon too), Wild Planet, or just go with tuna canned in glass. See my tutorial on dehydrating yogurt for travel, plus how adding gelatin to yogurt can not only boost the protein content but also make a thicker product! Anyone know if nutritional yeast is “real food approved” or not? I feel like I see it added to things like popcorn and such, right? Think about adding to homemade recipes, putting on apples or celery, or you know…just pack a spoon! A single pancake sandwich with a Tbs. peanut butter, then, could have 8-10 g protein, and that would hardly even begin to fill you up. My son’s new favorite lunchtime food is a peanut butter pancake sandwich, thanks to this series! What else with beans is travel worthy? Peas (5g in 2/3 cup) I eat them frozen, SO refreshing! Remember to pair the protein with some carbs by grabbing a piece of whole fruit, dried fruits, or even a quinoa bar. 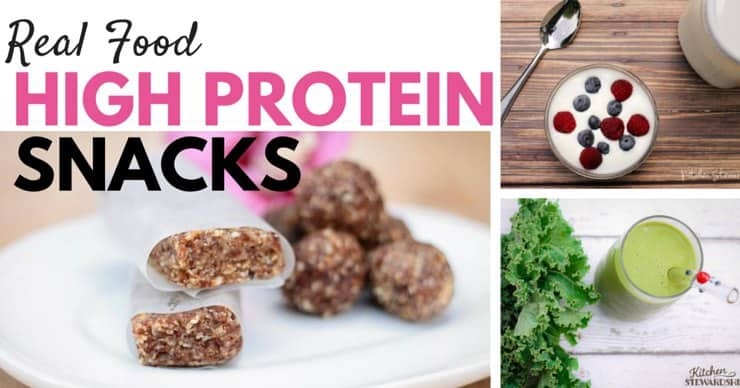 What other packable protein snacks can we add? Be sure to check out the rest of the Real Food Weight Loss and Exercise series! Next Post » What Does it Take to Cut Triglycerides by 75%? My current favorite “protein drink” is based on my grandma’s custard: I whip two whole eggs with my immersion blender and then use the blender to mix them into 2 cups of whole milk. I cook it in a double boiler until it coats a spoon. Drink it hot or cold depending on your mood. 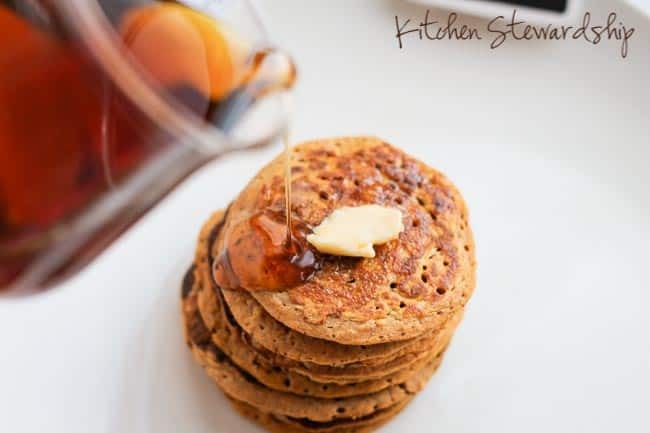 You can add vanilla extract or a little honey/maple syrup. You’re getting great fats alongside quality protein! I needed this article! I’m pregnant, just entering into my second trimester, and I’m tired of every source of protein I can think of. (Protein helped my feel less nauseated during the first trimester, but after six weeks, I’m ready to try something new!) Thank you! What about hemp protein? Nutiva sells a hemp protein shake mix. Not one I’ve ever looked into…a possibility! Thank you so much, Katie! I lost 80lbs between babies but now I have another 80lbs to lose after baby #2. I am totally tempted to do it the way I did last time (600 calories a day of commercial protein-powder shakes), but I know that isn’t healthy. The temptation is that it was insanely effective. Even if I wanted to, though, I won’t because I am still breastfeeding. These recommendations will help me stick to whole foods as I lose the weight. PS – Have you heard of Amazing Grass? What do you think? whole-food or not? Thanks! Not heard of that one, sorry! Great tips Katie!! I have been stuck trying to lose 15lbs and I know my diet is key but it’s the hardest part. I’ll definitely try to put some of these ideas into practice. 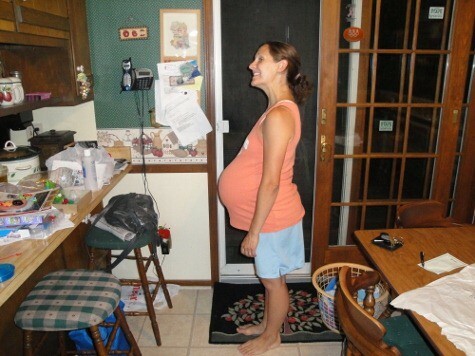 I am pregnant with baby #2 (due next week…yea!!!). Figuring ways to sneak protein in can be a challenge. We make yogurt weekly and keep the whey after straining it. That gets added to smoothies. I do use an all natural whey protein powder when I am really in a rush. I also enjoy low sodium jerky (beef or turkey). As for the question about dehydrating tuna or salmon…it is possible. We dehydrate canned tuna and chicken for taking backpacking with us. I haven’t tried to eat it before reconstituting with water, but I am sure it would be fine. I have been looking for information on helping my dd who is a gymnast have enough energy to get through practice and foods/drinks to help her recover after (practices are 4 hours). She is allergic to dairy and eggs, so it is hard! Thanks for so many great ideas. I highly salute to that idea, for pregnant woman out there here is your advice. This article is the best fit for you in order to maintain your good health and your future baby too.! if it’s pasteurized, doesn’t that mean it’s considered denatured by real foodies? i’m disappointed their drying method is proprietary because i don’t know how else they could dry whey without spraying it. have you asked them if they spray dry? could they comment on that at all? “Most raw or real foodies would say that the heat can cause changes to molecular structures in the milk. However, given the laws on the sales of milk products, this type of minimal processing is a requirement. It is done as delicately as possible to retain its maximum nutrient potential (key amino acids, cofactors and other beneficial micronutrients) while still ensuring a biologically safe product compliant with the law. Please note that neither heat nor acids are used in the production of the actual whey protein powder concentrate. It is only required that the milk be flash heated which is of course sourced from hormone-free, pesticide-free, grass-fed cows. The product is also completely free of sugar additives. I just made the apple pie Power bars/balls from your e-book and we all love them! One question though – do you chop the dates & dried apples before measuring? I chopped then measured and it worked fine, but I’m wondering if I can save a step (esp. since I’ll be making these a lot for snacks!). Thanks! We do milk after my kids sports (flavored, but homemade flavorings), and they think it’s great because of the USOC study about chocolate milk and raisins, so they feel like Olympians. We are reducing/eliminating gluten around here, and having these great high protein snacks around would be great! Thanks for all the great ideas! Plain milk works just as well, but a little bit of sugar speeds up the nutrient delivery. You can always make your own chocolate syrup- then you control the ingredients that go into it. How does one eat as much protein as recommended for pregnancy? I tried eating nothing but animal protein with only condiments and veggies (no carbs) and I simply couldn’t eat 80-100g of protein! I think I was stuffed by the time I got to 50 or 60g.